This article was last updated Jan 25, 2019, but some terms and conditions may have changed or are no longer available. For the most accurate and up to date information please consult the terms and conditions found on the issuer website. 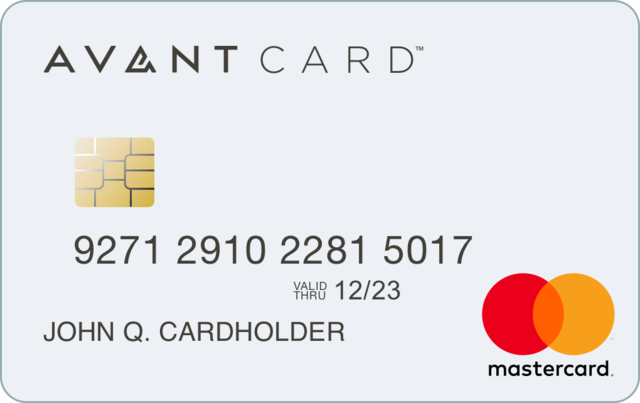 The information related to the The World Of Hyatt Credit Card has been collected by CompareCards and has not been reviewed or provided by the issuer of this card prior to publication. When the time comes to add a hotel-branded credit card to your portfolio, The World Of Hyatt Credit Card — especially if you belong to the World of Hyatt loyalty program — is an obvious choice. Hyatt operates 14 brands — ranging from the luxury Park Hyatt to the value Hyatt Place — with 750-plus properties in more than 55 countries across six continents. It also added the Alila®, Destination®, Joie de Vivre®, Thompson Hotels® and tommie™ brands at the end of November 2018. While not as large as Marriott or IHG, there’s still enough there to make joining the World of Hyatt worth considering. The World Of Hyatt Credit Card, with a $95 annual fee, gives you a solid sign-up bonus, good points per dollar spent, the chance to earn free nights, automatic elite status and the perks you’d expect from a hotel-branded credit card. We’ll look at what we like and what we don’t about this card. We’ll also review the Capital One® Venture® Rewards Credit Card for those who aren’t loyal to one brand, but still want a way to earn top points for hotel stays. Earn Up to 50,000 Bonus Points If you manage to earn all the points available, you can use them to book a weekend in mid-February at the Hyatt Regency Huntington Beach Resort and Spa in Southern California. It pays to sign up for the World of Hyatt loyalty program. Members who are also cardholders Earn 9 points total per $1 spent at Hyatt - 4 Bonus Points per $1 when you use your card at Hyatt hotels & 5 Base Points per $1 you can earn as a World of Hyatt member. The card offers higher points per dollar spent at restaurants, airline tickets and local transit/commuting, along with fitness club and gym memberships. Every time you redeem 50,000 points, you receive 5,000 bonus points. Also earn 5,000 bonus points for each friend who gets the The World Of Hyatt Credit Card, up to 25,000 a year. World of Hyatt comes with eight hotel categories, ranging from 5,000 to 40,000 points per free night for a standard room. Category 1 hotels include the budget Hyatt House and Hyatt Place brands. Category 8 hotels cover Hyatt’s partnership with Small Luxury Hotels of the WorldTM such as Palazzo Vecchietti in Florence, Italy. There are no blackout dates on reward stays. Cardmembers receive a free night at any Categories 1 through 4 Hyatt hotel or resort every cardmember anniversary year — and get another free night after spending $15,000 during a cardmember anniversary year. Read Top 10 Hyatt Category 4 Hotels for Your Free Anniversary Night Certificate. Free room nights and upgrades. Transfer points to 27 airline partners. Dining, spa experiences, in-room movies, parking and transportation at participating hotels. MGM Resorts International brands in Las Vegas. FIND Experiences, including a tandem paragliding flight, goat yoga in Las Vegas and a pasta-making class and dinner at Chicago’s Amalfi Coast restaurant. Exhale boutique fitness classes and spa therapies. Share them with family and friends. The World Of Hyatt Credit Card comes with automatic Discoverist status. That comes with a 10% points bonus, a free bottle of water daily, a late check-out and free premium in-room internet where available. The card also comes with perks popular with travel cards, including trip cancellation/interruption insurance, baggage delay insurance, lost luggage reimbursement, Visa Signature® Concierge service and purchase protection. The World Of Hyatt Credit Card has a lower sign-up bonus and a higher spend required to get the bonus compared to some competing hotel credit cards. If you decide not to join the World of Hyatt loyalty program, the points per dollar spent on this card is among the lowest offered in the hotel-branded credit card category. Don’t transfer your Hyatt points to airline partners. With a lousy 1,250 points to 500 airline miles conversion rate (2.5:1), you’re better off using your points for free hotel room nights and upgrades. Hyatt also has a much smaller portfolio of properties to choose from compared to competitors such as Marriott, IHG and Hilton. This could possibly cramp your style when it’s time to book reward nights. Know that you won’t earn points if you book rooms using third-party online retailers such as Expedia.com, Travelocity.com or Hotels.com. But you’ll still earn points on incidental charges including resort/destination fee, additional-cleaning fees, spa, food, beverages and lounges, laundry, dry cleaning and telephone. Want to use your points to book a standard or premium suite? You can’t do it on the World of Hyatt website. Instead, you must call customer service at (800) 544-9288. You must have qualifying activity in the World of Hyatt program or on the credit card at least once every 24 months so you don’t lose your points. If the combination of the World of Hyatt loyalty program and The World Of Hyatt Credit Card isn’t compelling enough, or you don’t want to stick with one hotel chain, then you may want a card that gives you extra points for room stays and more flexibility in earning and redeeming. Consider the Capital One® Venture® Rewards Credit Card, with an annual fee of $0 intro for first year; $95 after that. The card starts with a One-time bonus of 50,000 miles once you spend $3,000 on purchases within 3 months from account opening, equal to $500 in travel. You earn a flat 2 Miles per dollar on every purchase, every day. You also earn 10 miles per dollar spent when you use the card to book rooms at Hotels.com/Venture. Use the miles you earn on the Capital One® Venture® Rewards Credit Card to pay for travel booked on the website or app of any airline, hotel, rental cars and more using the Purchase Eraser feature, which gives you an account credit for what you spend. You can also book travel with your miles directly at capitalone.com, or you can just redeem them for a check, an account credit or gift cards. 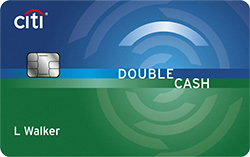 The Capital One® Venture® Rewards Credit Card is one of four Capital One travel-branded cards that allow cardholders to transfer the miles they earn to 14 travel loyalty programs, including Air Canada, Cathay Pacific, Avianca, Finnair and Qatar Airways — at a better rate than The World Of Hyatt Credit Card. The perks that come with this card aren’t as good for travel as what’s offered by The World Of Hyatt Credit Card, like trip cancellation/interruption insurance and lost luggage reimbursement. It does come with free upgrades and savings at hotels, resorts and spas; access to Visa Signature® Concierge, auto rental collision damage waiver, discounts at retailers and online merchants, and extended warranty protection. You also receive up to a $100 credit to cover your Global Entry or TSA Precheck enrollment fee when you use the card. Miles per dollar spent on this card are much lower in popular categories such as travel and dining. You only get higher points for hotels if they’re booked at Hotels.com/venture using the card. 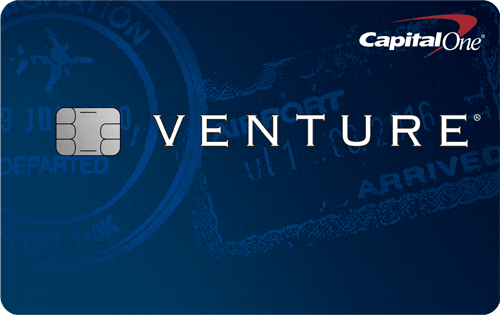 Check out our full review of the Capital One® Venture® Rewards Credit Card. Both cards have pros that make it attractive and cons that could give you pause before applying. The main question to ask is if you want to be tied to one hotel brand — Hyatt — or do you want to choose hotels based purely on price and location and use your miles for other things. The World Of Hyatt Credit Card is the one to have if you’re a member of its loyalty program, thanks to its lower points per night needed for free room nights, myriad ways to redeem them and the perks that come with the card and its automatic Discoverist status. The Capital One® Venture® Rewards Credit Card is a solid choice if you don’t want to be wedded to a single hotel brand. The card allows you to earn top points for hotel stays under Capital One’s partnership with Hotels.com, receive a better conversion ratio when transferring miles to airline programs and have more flexibility when redeeming the miles you earn. So look at things such as the card’s annual fee, points per dollar spent on hotels and popular categories like travel and dining, the sign-up bonus and the spend required to get it, card perks, and most importantly, how points can be redeemed. Read our review of the Best Hotel Credit Cards in 2019.